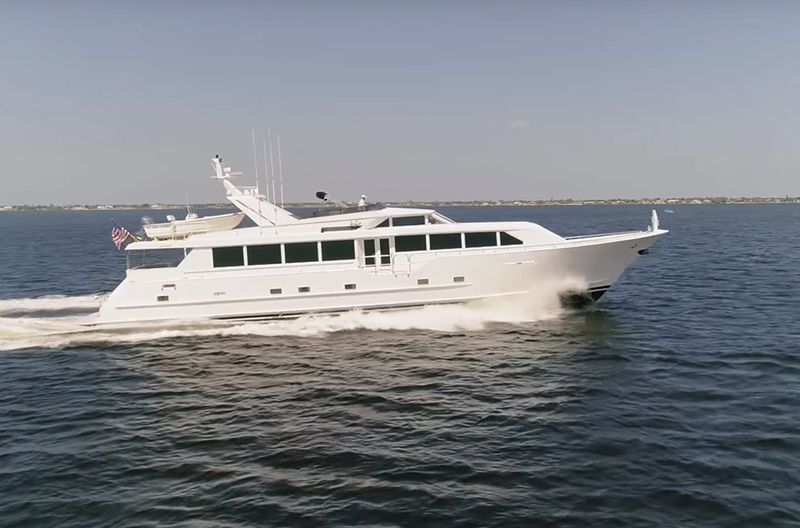 NO VACANCY offers a full-beam salon that is accessible through doors amidship or from the aft deck, and features an open layout built for entertaining a crowd. 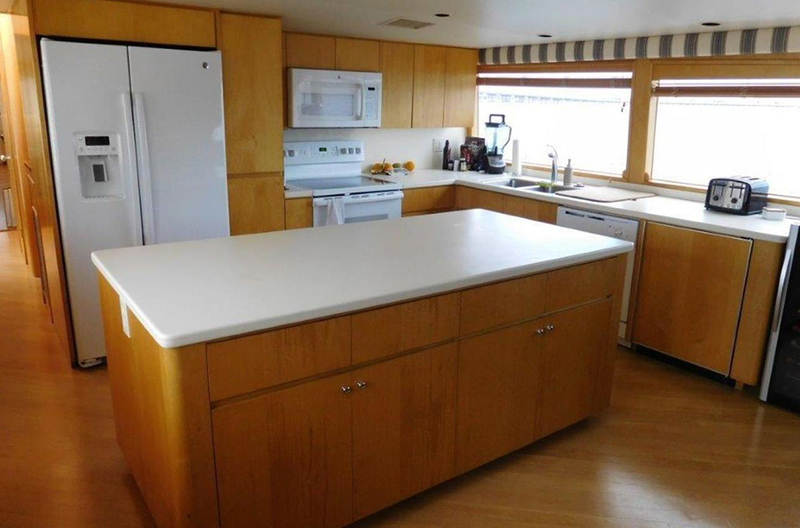 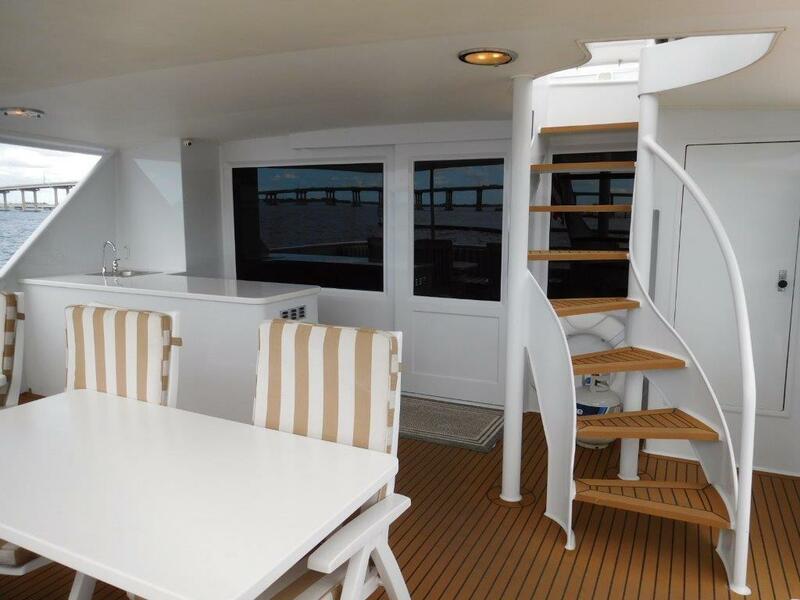 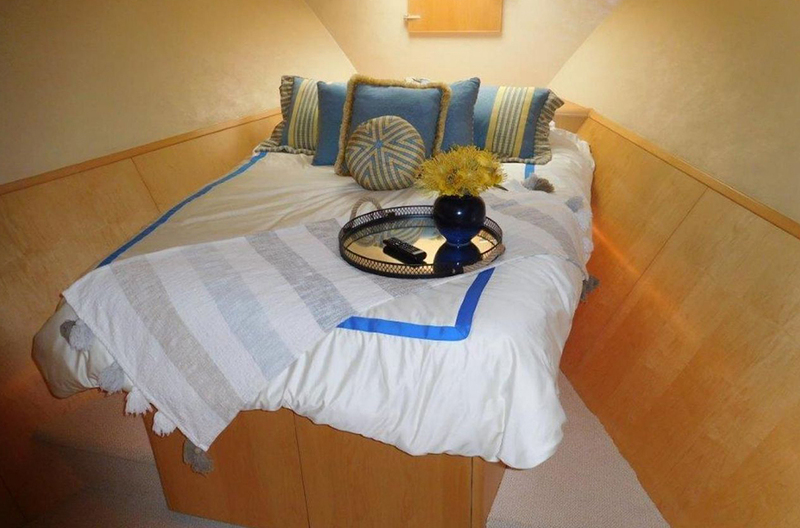 Her massive windows on the main deck are hard to miss as you head down the companionway that leads to the galley's large center island and popular country kitchen dinette with seating for up to 8. 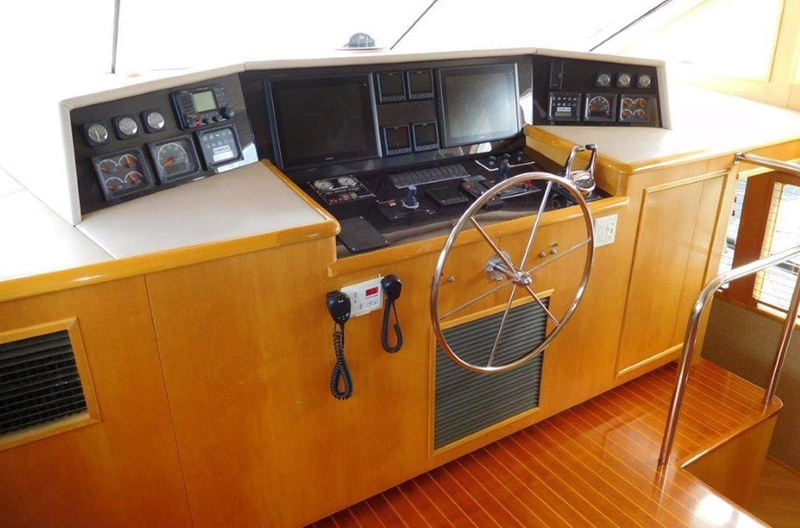 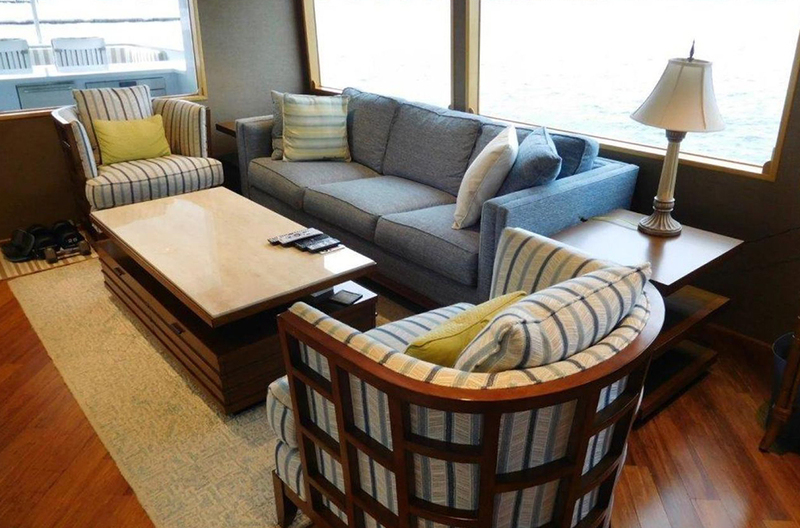 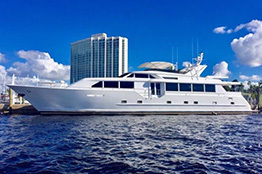 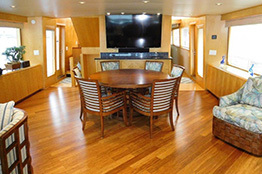 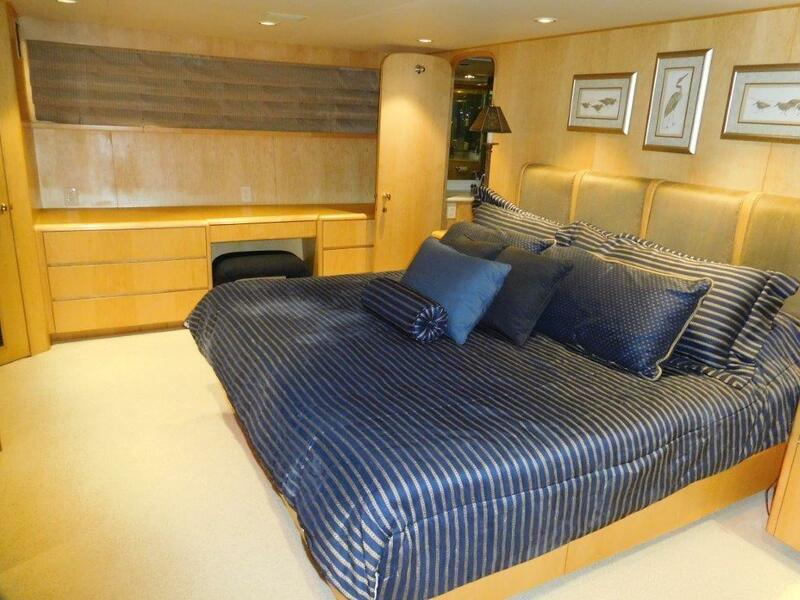 With $1 million spent on upgrades, after an extensive structural, electrical and mechanical refit in 2016/17, she offers a wealth of options for any client looking in the 100'-plus category, from her four stateroom layout and sturdy hull design to her reliable twin CAT engines and classic Broward Marine build. 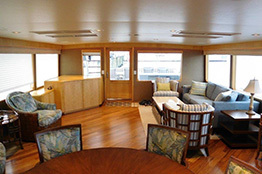 NO VACANCY features plenty of room for an evening cocktail party, perhaps a nightcap, on the spacious flybridge where a drink and a view are always on display. 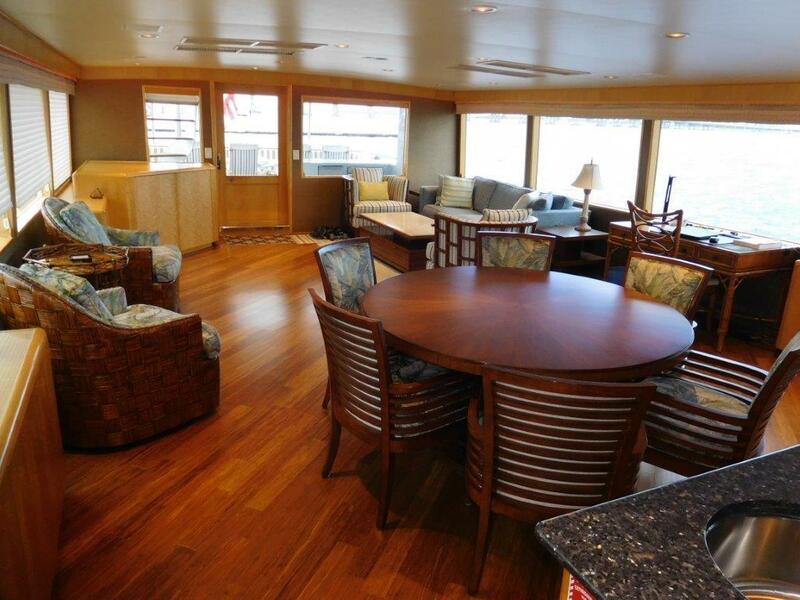 Being able to watch your favorite sporting event or hang out on the main deck while taking in the natural light from her large windows makes this Broward's open, spacious layout one-of-a-kind. 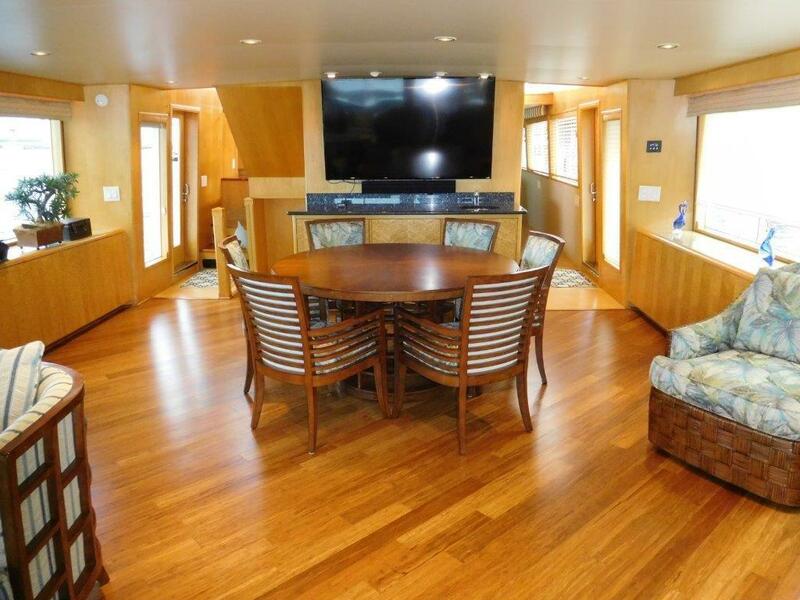 Moving forward from the salon is the formal dining room with plenty of seating to both port and starboard, a space that also features another wet bar and sink beneath a massive LED TV. 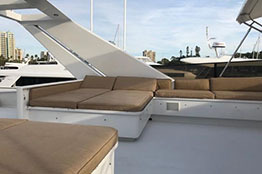 The aft section holds her 17' Key West Skiff that is handled by a 2000-pound capacity, MarQuipt davit – just what you and your guests will need to have some fun on the water while underway.